Bibliotheca provides libraries with RFID, EM/RFID and barcode-based self-service solutions. Within Bibliotheca's collection of library self-service kiosks you will find a range of products to suit many different requirements, supporting everything from barcode and EM strips to the latest in RFID technology. All of their self-service kiosks run on liber8™ software and are supported by their smartadmin™ central administration software. smartserve 200 - is a countertop self-service kiosk. smartserve 400 - capable as a stand-alone device for the check-in and out of items, it can be easily extended using Bibliotheca's dedicated payment module to provide a full range of cash and card-based transactions. smartserve 1000 - smartserve™ 1000 is a self-service kiosk with a modular design that allows a library to choose which options are integrated into their custom kiosk. 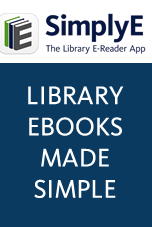 Available in both RFID only and hybrid (EM/RFID) models, libraries can also choose between a standalone, a height-adjustable or a desktop kiosk. smartsort 100 - a reliable return and sorting solution for your library with a simple set of features. smartsort 250 - allows libraries to implement full materials handling features. Available in both internal and external versions, this compact AMH solution is for libraries with minimal floor space to dedicate to a larger system. smartsort 300 - supports multiple entry points, unlimited destination bin options, staff return stations, modular conveyance and bin sorting options, with a maximum sort speed of up to 1,800 items/hour, this solution delivers the ultimate in return and sorting capabilities. smartlocker - seen as a solution for patrons who live far from a library, or for those who are on-the-go and look for convenience, the smartlocker™ system branches your library out into different locations to better serve your community. It can be placed in any internal building in the local community, allowing you to promote and extend your services to patrons who live beyond the range of your physical libraries. Examples may include community centers, gas stations, and community facilities. Some libraries are also using this solution to allow for 24 hour pickup of holds at current locations. All RFID gates are supported by Bibliotheca's smart gate manager software, which gives libraries instant information about items causing alerts and historic logs of old transactions. smartgate 400 - with a modern and attractive clear panel design, smartgate™ 400 not only performs seamlessly but looks great in any library environment. smartstock™ 200 - can perform a complete instantaneous inventory of all on-shelf items quickly and efficiently by simply reading the RFID tagged items. Following an inventory, data can be uploaded to the LMS or analyzed manually. In addition, by downloading search list information, smartstock™ 200 can be used to find specific items on a shelf, or assist with shelf-tidying functions. As an ‘all in one’ lightweight unit, the handheld has been ergonomically designed to offer easy and comfortable use by staff. smartstock™ 300 - the smartstock™ 300 allows items to be borrowed and returned while simultaneously freeing up kiosks to be used for payment and account transactions. smartstation 200 - provides staff with a fast and efficient means to program and verify RFID tags. Items within the library may also have their security added or removed without interaction with the Integrated Library System (ILS). This may be applied to multiple items of mixed media, placed on the antenna at any time. smartlabel - the core component of any RFID system is the label itself. Without the label the rest of the system simply cannot operate. It's critical therefore that the labels you chose are 100% reliable and fit for purpose. All Bibliotheca RFID labels are compliant with ISO 18000-3 and ISO 15693 air-interface protocols and the SLI-X chips are more than capable of storing data in the industry-standard ISO 28560 format. In addition, Bibliotheca is proud to offer all labels in their range with a 50 year or 100,000 re-write data retention guarantee.